1. 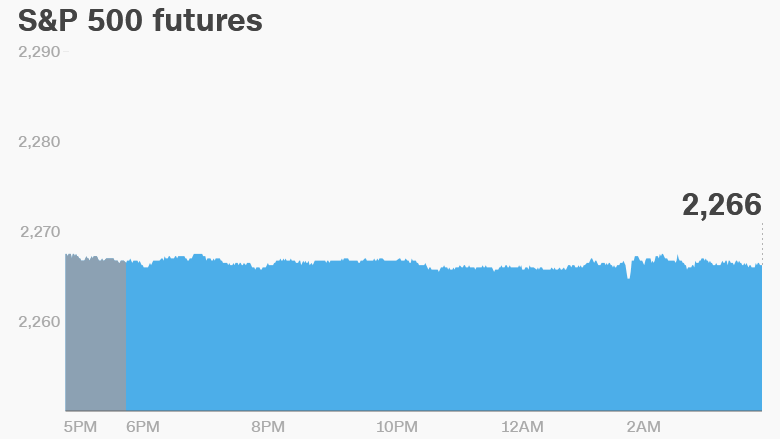 Dow pushing toward 20,000: The U.S. markets are expected to shine bright even as the winter solstice keeps the day short. The Dow Jones industrial average and Nasdaq hit fresh all-time highs on Tuesday and they look set to continue lighting up Wall Street on Wednesday. The Dow is currently just a hair away from hitting the 20,000 mark for the first time ever. Meanwhile, European markets and Asian markets are having a mixed trading session. 2. Coke's Africa move: Coca-Cola (KO) announced Wednesday it's paying nearly $3.2 billion to Anheuser-Busch InBev (BUD) to buy the beer giant's majority stake in Coca-Cola Beverages Africa. The African business bottles Coca-Cola drinks that are sold in countries such as South Africa, Kenya and Uganda. AB InBev officially took control of its rival SABMiller in October in one of the biggest takeover deals ever. To ensure the business doesn't get too big, the newly formed firm has been selling off different units over the past few months. 3. Monitoring the banks: European banks could be in focus Wednesday. According to Reuters, Deutsche Bank (DB) could face a massive penalty from the U.S. Department of Justice over its involvement in the U.S. mortgage market meltdown of 2007 and 2008. The Justice Department originally demanded $14 billion over allegations the bank packaged up toxic mortgages between 2005 and 2007. The bank said at the time it didn't intend to pay that amount and it was just a starting point for negotiations. Meanwhile, the Italian bank Monte dei Paschi is also in the spotlight as investors expect the company may have to seek a government bailout either this week or next week. The company has been trying to raise money from private investors to avoid a state bailout. 4. Earnings watch: Accenture (ACN) and Finish Line (FINL) are releasing earnings before the opening bell. Bed Bath & Beyond (BBBY) is one of the key firms reporting results after the close. Shares in Nike (NKE) are set to jump at the open after the company reported better-than-expected results on Tuesday evening. But shares in FedEx (FDX) are set to decline as investors react negatively to the company's earnings.